Our weekend weather here in San Diego was a little bipolar with heat during the day and chilliness at night. Layering is the perfect solution for such days because you can remove or keep the items as you please! Hope you had a great weekend, enjoy your Monday and make sure follow me on Instagram as I make my way to NYC for the LuckyFABB conference (if you are going, shoot me an email or DM on Twitter if you'd like to meet)! OMG! I am absolutely loving your outfit! So fab! You look fabulous, as usual! So fall chic! Love how you played with the length of the layers, great look! Love this look!! Great layering for Fall! The whole outfit is great. 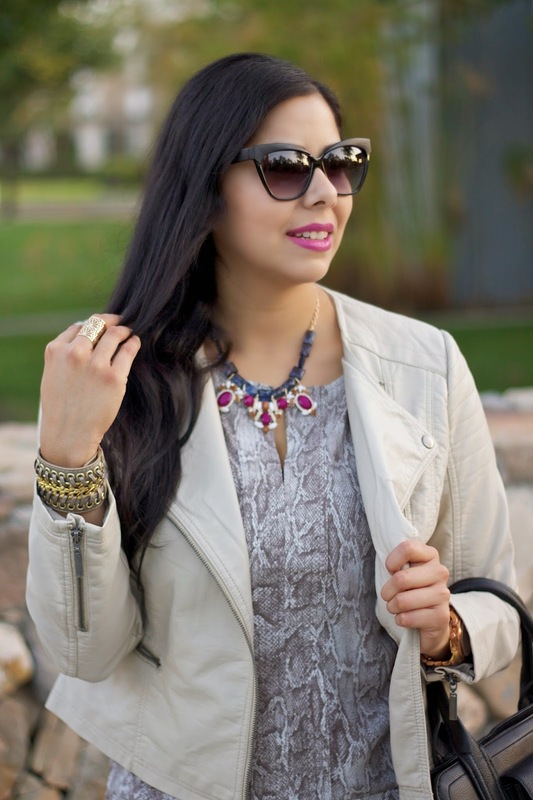 I really love the neutral colors and that necklace looks absolutely beautiful!